On Saturday I looked at how you can fly on Finnair from Helsinki to Dubai – in A350 Business Class – for just 75,000 Avios and £116 of charges. That article is here. Because it is driven by distance, and because the gap between Avios pricing bands can be substantial, there are often good savings to be made if you leave the UK to start a redemption. As an added bonus, you will save on long-haul premium cabin Air Passenger Duty too. If these are not problems for you, read on. I thought I would focus on the Qatar Airways flights to the Middle East today as an example, as you may be thinking of your holiday plans for the October to March peak tourist season. However, even if you have no interest in a Qatar Airways trip to Doha, the same principles can be used with other Avios partners. For example, Cathay Pacific redemptions to Hong Kong require fewer Avios if you start in Copenhagen because it pushes you into the lower band. There is, of course, a big downside. 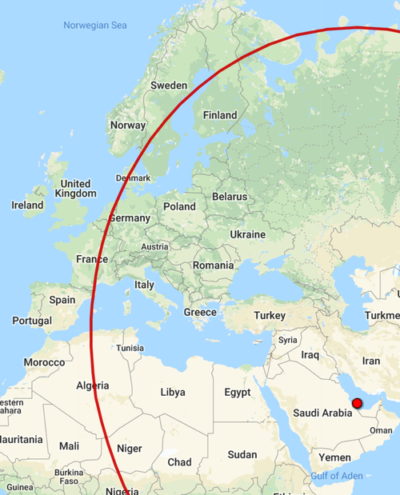 Due to the continuing blockade of Qatar by the UAE and others, it is not possible to (easily) connect from Doha to Dubai, Abu Dhabi etc. If you follow the tips in this article, you will be holidaying in Doha. Any Avios redemption on Qatar Airways booked from a city inside the red line to Doha will price at 75,000 Avios instead of the 120,000 Avios it would cost from London. It is important to check the aircraft type. Qatar Airways using short-haul planes on some niche European routes, although most of them still have flat bed seats. Boeing 787 departures will have the herringbone seat I reviewed here. An A350 will either have the herringbone layout or the amazing new Qsuite. A Boeing 777 will either have the ‘not great for solo travellers but OK for couples’ 2x2x2 seating OR Qsuite, which is being rolled out slowly as the planes are refurbished. The taxes are not cheap, unfortunately. Whilst you will be saving a lot of Avios, you won’t be saving much on the taxes once you’ve added in the cost of getting to your starting point. If you are interested in this idea, I suggest doing an open-jaw trip. Fly out of one European city and back to a different one. Tack on a bit of sightseeing in both. This gives you two mini-breaks either side of your Middle East holiday, as well as saving you a lot of Avios. Let's be clear ..... avios.com is NOT closing. Your questions answered. Save money on No 1 lounges and get double Virgin miles too! OT: I have just done my upgrade from Gold charge to Plat charge card. Does that mean it resets the referral bonus cap so that I can then do 90K of referrals till the end of the year on platinum? In my experience you can refer 5 times from Plat and get the bonus regardless of any referrals you have made from the previous gold card. OT: Is the IHG accelerate promotion for Q3 coming any time soon? Not heard anything but I am expecting it. I haven’t been able to log-in to Vueling ever since they changed to Avios club. The Avios UK people managed to save the Vueling points and post them to avios.com, but Vueling cannot do anything with my account to make it work again. I would tell them to delete my account, but I want access for IB codeshare seat selection and apparently if they just delete your account you can’t open a new one with the same email address! (And apparently a different email address would stop it syncing bookings with Iberia). Anyone had the same issues and got it sorted? Sorry, above post is OT – thought I was posting on the Avios post! Latest update (so far only released via OMAAT!) is that you can now make bookings using Travel Packages (no one month hiatus) and 30k compensation for those losing out (eg old cat 6) will be provided, with 45k if cancelled as before. No ability to upgrade from what they’ve said. On the talk of upgrades, is there a grid anywhere to see how many Avios to upgrade to Business from Economy if we can buy the Economy flights? Do you guys see that as good value in general? Can you use Avios to upgrade on Qatar Airways? You can ONLY upgrade Q, O and G class Economy flights, which are not the cheap ones. And you can ONLY upgrade one level on BA, so it would be to World Traveller Plus. AND it requires an Avios seat to be available in WTP. It’s not happening, is what I’m trying to say. You can’t upgrade on Qatar with Avios. Thanks! Appreciate all the help and work on this site. Would this work for Tel Aviv as well? 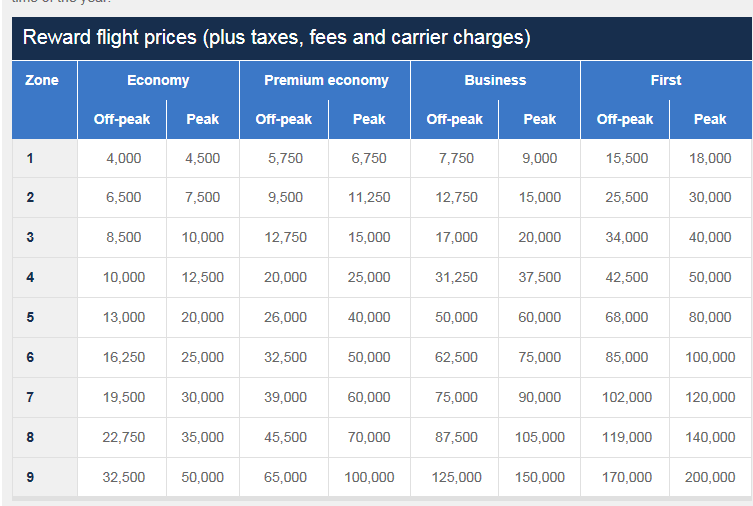 It seems the DXB-HKG-TYO can still be done on Cathay but the cost is now 30K Avios + ~£120. Talk about avios + taxes inflation.